We recognize that fresh water is a limited resource in some parts of the world and its availability may change in the future. 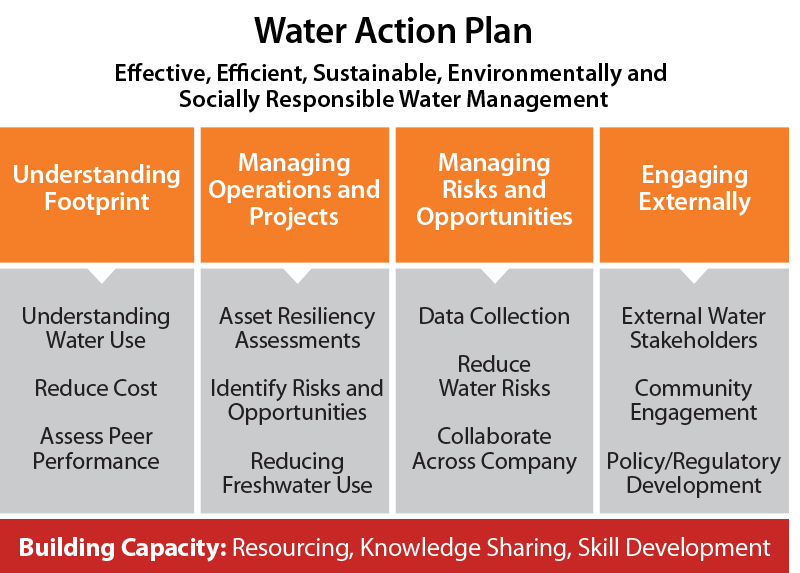 We have a risk-based approach that integrates water strategy and risk mitigation into our long-range planning and business decision-making. 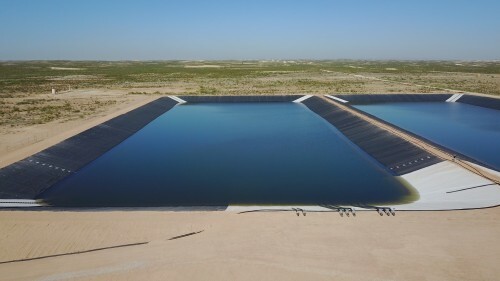 In regions with physical, regulatory or social water risks, we explore alternatives to fresh water, including deep brackish groundwater, recycled produced water and reused municipal wastewater. When evaluating access to water in regions with operated assets, we start at a high level with an enterprise-wide review of projected renewable water resources using the IPIECA Global Water Tool for Oil and Gas. 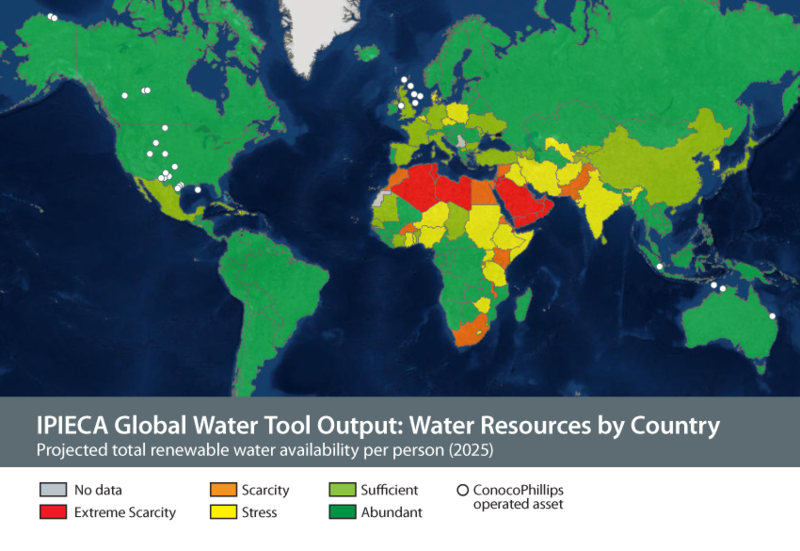 The Global Water Tool map shows that the projected 2025 water resources for all countries with operated assets are sufficient (1,700-4,000 m3 per person per year) or abundant (>4,000 m3 per person per year). While water scarcity is an important issue globally, the solutions for constrained availability are often local. 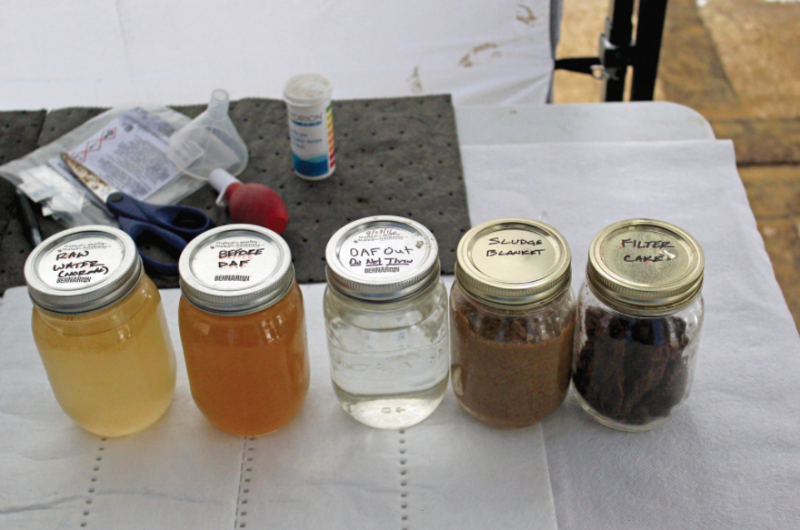 All users — domestic, agriculture and industry — will need to effectively manage supplies to meet demands. We strive to align our actions with societal values for protecting and conserving freshwater resources and to support improved water management performance across the industry. Our expectation is to manage our water risks and to contribute to sustainable water management. Our Water Action Plan spans from 2014 to 2018, following successful results from our first company-wide water action plan between 2009 and 2013. The Water Action Plan, which is updated annually, identifies the accountable action owner, target completion date and lists milestones and progress. Our businesses and corporate functions have committed to 107 specific water-related actions or projects. Information about our annual performance may be found in our 2017 Sustainability Report. The action plan projects and progress are managed through an integrated governance process. Our Water Issues Working Group, led by a member of the global Sustainable Development Team, is accountable for managing the action plan content. 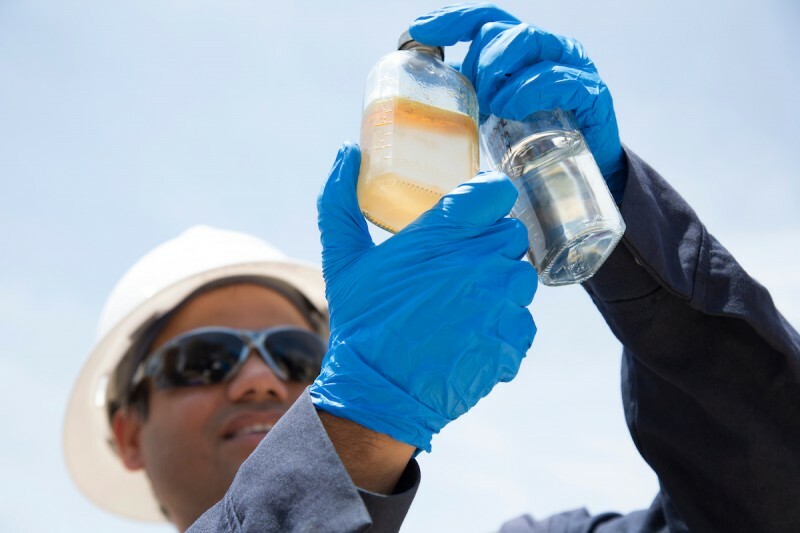 The group’s members are onshore and offshore water subject matter experts, advisers, team leads and managers representative of our global exploration and production portfolio. Our internal Water Network of Excellence is the primary collaboration tool for Issues Working Group members to share knowledge, innovation and best practices.